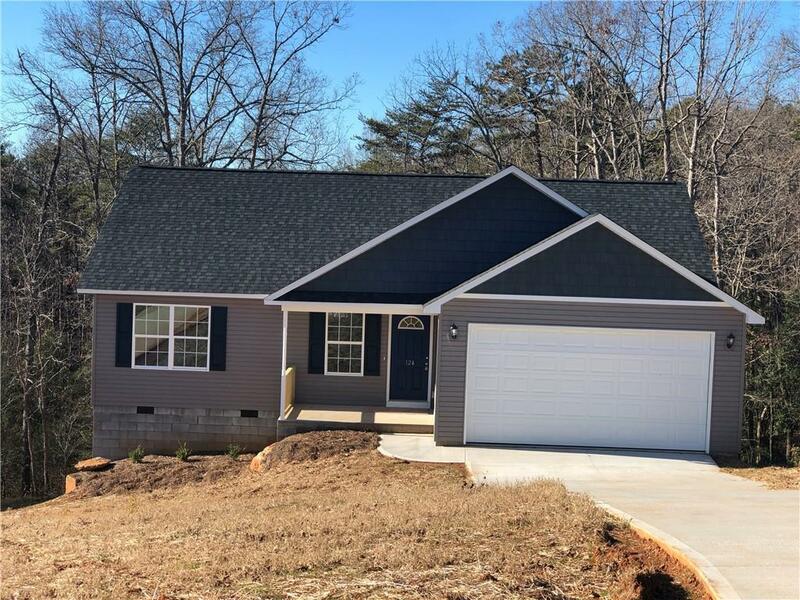 Another AMAZING and AFFORDABLE opportunity in the Powdersville community! Picture yourself pulling around the corner of Robin Ridge Circle and pushing the garage door opener, that is clipped to your sun visor, just as you see the beautiful grey siding. By the time you get down the driveway the door is fully up and you can pull right on in and close the door behind you. You get out of the car, grab a few things and head inside. As you walk into the 5x8 laundry room you set down your thing, hang up your jacket, take off your shoes and walk into the eat-in Kitchen. Recessed and pendant lighting, ample countertop and cabinet space and new black appliances are just a few special features waiting for you. Natural light floods in through the window over the kitchen sink and the french door that leads out onto the back deck. Get your Evites ready, because entertaining in this open living space will be a breeze! The 15x18 living room features vaulted ceilings, neutral plush carpet, and access to the breakfast bar. Not wowed yet? Well, walk on over the the right of the breakfast room and into the large Master Bedroom that features trey ceilings, loads of natural light, large walk-in closet and an on-suite full bath. Getting ready in the morning will be no hassle with the separate shower, dual sinks and large vanity mirror. Two other bedrooms and full bath are located on the other side of the home, making for a perfect split bedroom plan. Now head out onto the back deck, you can almost smell the burgers grillingâ¦right? Powdersville Schools. Large private lot. New Never Lived in. What else could you ask for? Call us Today!